For over 30 years Empire Magnetics has provided electric motors and motor assemblies for space equipment and aerospace applications. During this time we have developed significant relationships with organizations including: NASA, Space Sciences Laboratory at UC Berkeley, Lockheed Martin, Boeing, Anteon, Space Dynamics Laboratory, Space Systems Loral, European Space Agency, and SAIC. Our products can be found on the International Space Station, global satellites, space shuttles, and in space labs and testing facilities around the world. Empire Magnetics provided a set of motors for the vacuum test chambers at the Marshal Space Flight Center. 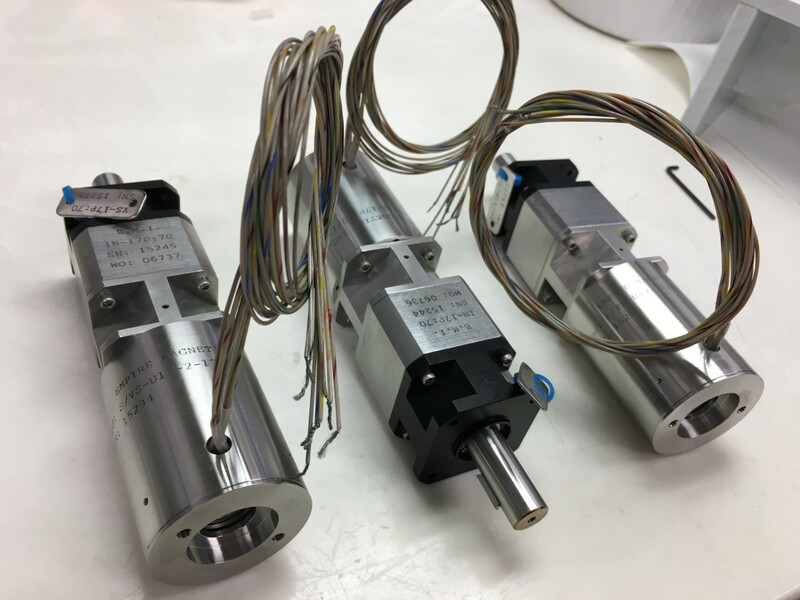 These vacuum-prepared motors were incorporated into the test equipment used to qualify other products for vacuum compatibility. This equipment was funded via the Smithsonian Institute. Boeing hired Empire Magnetics build a set of motors with gearboxes and brakes, all carefully specified with space flight requirements. We believe they may have been used for the docking ring on the International Space Station; however, Boeing never revealed the specific function, and we never asked! For NASA’s Wake Shield Lab Module, (http://www.uh.edu/svec/wsfp-desc.html). 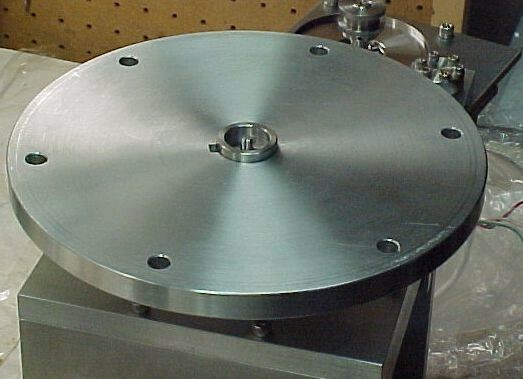 Empire Magnetics provided a gear motor assembly that was part of the momentum control system. This assembly was launched, orbited and recovered on three different occasions. There was no maintenance required to our motor assemblies between launches. Joe Pineda, the project engineer, even called to thank us before he retired. 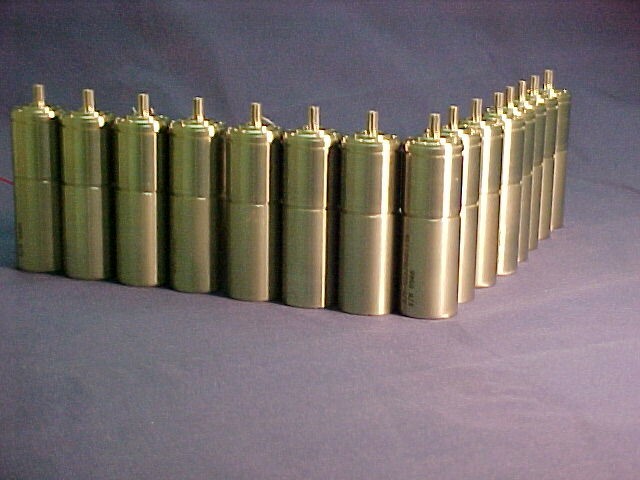 When Hughes Aircraft need vacuum motors to test a DOE satellite, they turned to Empire Magnetics Inc. In order to support a nonstop seventy-day tumble test we developed a liquid nitrogen cooled assembly that worked flawlessly. Corning OCA was tasked with finding motors that would operate at -200 C and survive 25 G shock loads for the Brilliant Eyes program. Empire Magnetics supplied units that passed all the tests. 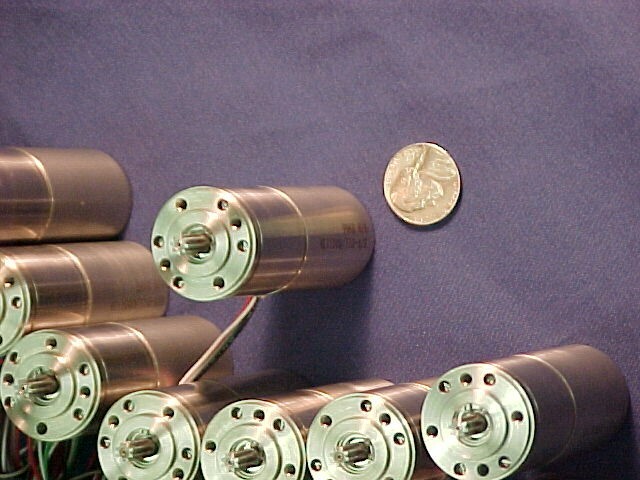 For the Japanese communications B Sat II satellite, built by Orbital Space Systems, engineers needed a small actuator that would operate during launch. Due to the G forces it had to be exceptionally stiff. 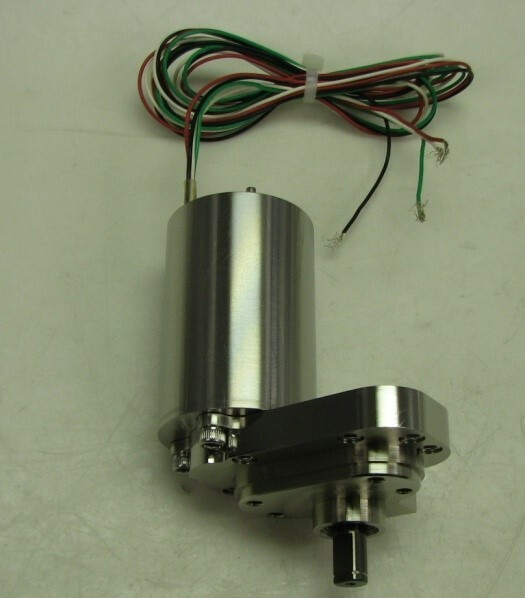 Empire Magnetics designed and built a custom linear actuator using a double ended screw combined with a hollow shafted motor. This arrangement put all the thrust loads on the screw, so the motor only needed enough torque to turn the screw. This resulted in a light weight system that solved the problem. 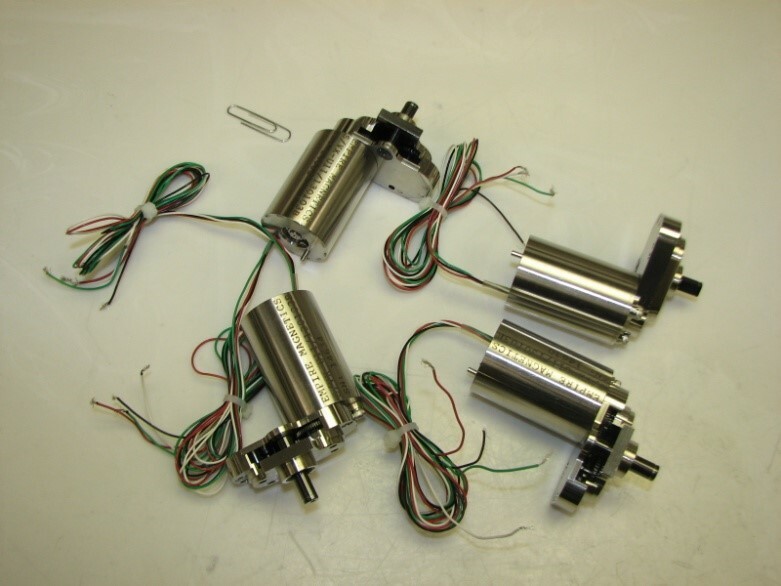 Goodrich used sets of custom versions of Empire Magnetics size 17 stepper motors for two sets of satellites. Hughes Aircraft needed to tumble a large satellite in a vacuum chamber that had to run nonstop for 70 days. Empire Magnetics designed and built a motor gearbox assembly cooled with liquid nitrogen to do the job. NASA’s JPLpurchased a test motor from Empire Magnetics for proof of concept for a gas sampler to be used on a voyage to Saturn’s moon Titan. The test motor ran successfully for 6 months at cryogenic temperature in vacuum. 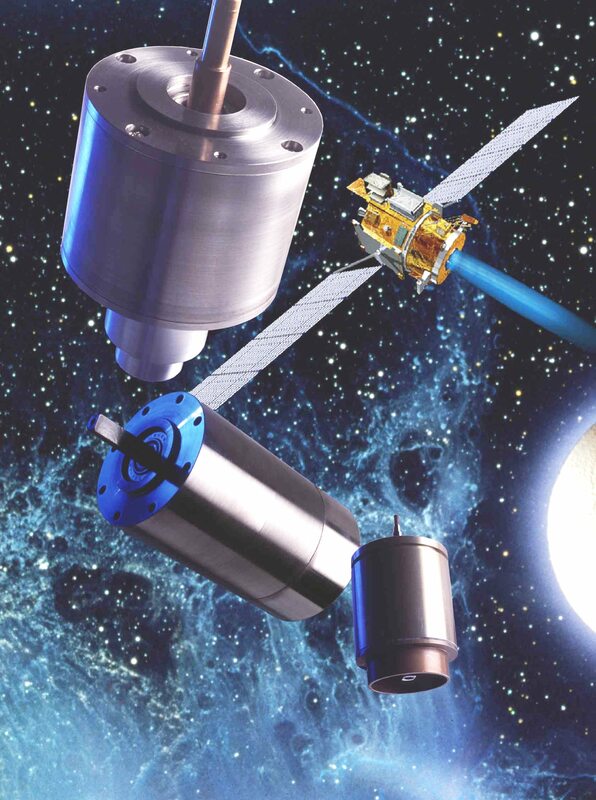 Installed on the exterior of the International Space Station, the hatch covers of NASA’s Cloud-Aerosol Transport System, (CATS) Lidar remote-sensing instrument are activated with motors built by Empire Magnetics.